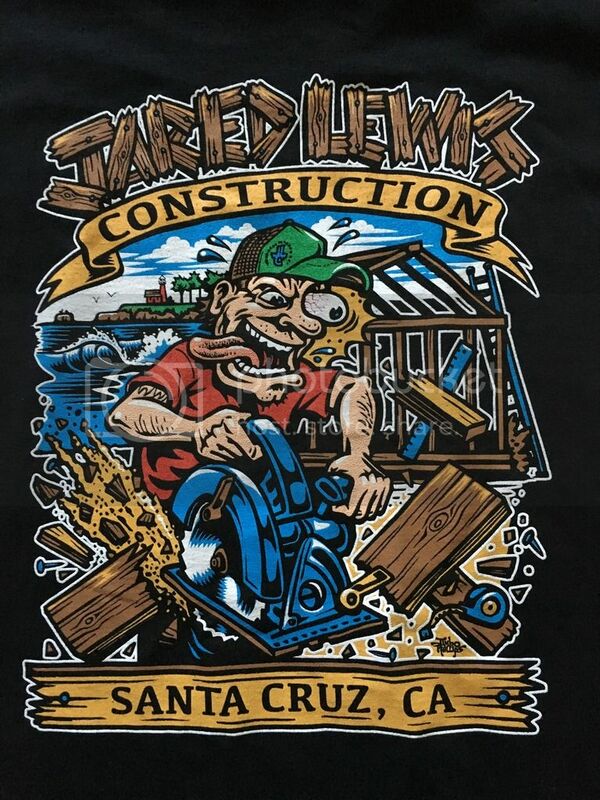 My brother runs a construction company in Santa Cruz, and recently hired Jimbo to design graphics for his company... This is the hand-screened result. Very cool design, especially for those familiar with the Phillips graphics. But sweet shirts none the less! Yeah, that's true... luckily most Santa Cruz peeps seem to dig the crazy, weird, and whacky, and also know and understand the skate culture. If you look close, you also see some other well-know SC icons, like the west cliff lighthouse (above one of the best local surf spots -- Steamers Lane), and beyond that is seal rock!